It’s hard to believe the holidays are just around the corner! 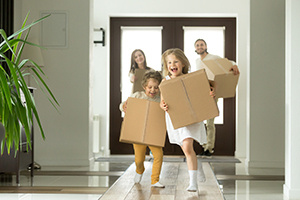 Moving during the holiday season is no easy task, so we’ve put together some tips to help reduce the stress while still enjoying this special time of year. Decorate for the holidays! Wait to pack up the holiday decorations until right before your move so it still feels like home. You can just pack a bin full of holiday decorations right before you leave. This way, you can easily find, unpack, and put them back up once you get to your new home. If this isn’t possible, keep at least one room decorated. Remember to take a break from the chaos and take a drive around town with your family to look at the holiday lights. The holiday season is a great time to give away any items you no longer want or need. Many charities will gladly pick up your donations free of charge. This will leave you with less to pack while helping others. Surprisingly, the holiday season is a really busy time for movers, so book your move as far out as possible. Also, moving on a holiday weekend usually costs more, so keep this in mind if you’re on a tight budget. Don’t forget to consider the weather and holiday traffic when scheduling your move. There will probably be lots of holiday shoppers and travelers on the road. If you’re thinking about buying or selling a home in the Greater Boston area, contact Barrett Sotheby’s International Realty today!